Cernos Gel (Testosterone Gel 1%) is a medication that contains testosterone, only used externally. 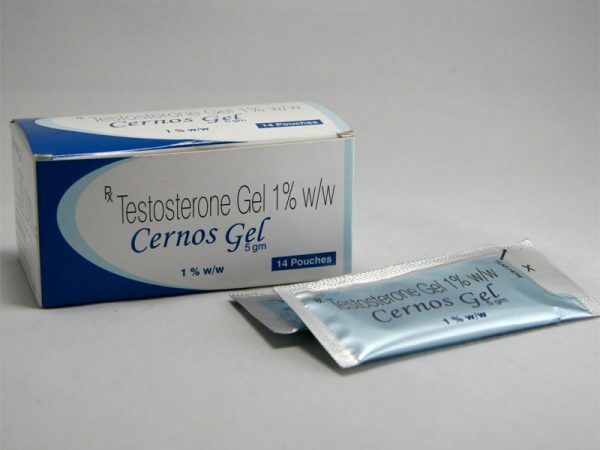 This medicine has been developed for men who have insufficient testosterone levels. This gel has a high performance and is completely harmless. It is important to consider the prescriptions in the attached instructions. To maintain the desired result, the gel is applied every day. – this medication can not be used in parallel with insulin; medications for thyroid activity; other anticoagulants.